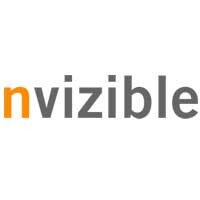 Nvizible is currently looking for an experienced Mid/Senior Lighting TD to join our team for work on an upcoming project, working on VFX and Postvis projects. Please send your CV to recruitment@nvizible.com specifying “Lighting TD” within the subject line. Should you prefer to send hard copies of showreels, please send to: Nvizible, 8/9 Carlisle Street, London, W1D 3BP. Nvizible is currently looking for an experienced Mid/Senior Crowd TD to join our team for work on an upcoming project, creating crowd sims in Maya using Miarmy. Please send your CV to recruitment@nvizible.com specifying “Crowd TD” within the subject line. Nvizible is currently looking for an experienced tracker to join our team for work on exciting new projects at our London office in the heart of Soho. • Processing of on-set data including LIDAR and lens grids. Please send your CV to recruitment@nvizible.com specifying “Matchmove Artist” within the subject line. On-line showreels and links to websites are welcome. To support the compositing team to produce excellent shots for film and television. Mid Level Compositors work on anything from Paint and Prep through to compositing their own shots. They are expected to work on less complex shots as well as provide support to the more senior members of the team. Please send your CV to recruitment@nvizible.com specifying “Mid Level Compositor” within the subject line. Nvizible is currently looking for an Assistant TD to join our team for work on an upcoming project. Please send your CV to recruitment@nvizible.com specifying “Assistant TD” within the subject line. Should you prefer to send hard copies of showreels, please send to: Nvizible, 8-9 Carlisle Street, London, W1D 3BP.